How Much Does My Company Pay For An Expense Reduction Analyst? When you work with Procurex to identify cost reduction solutions, you never pay a cent until you see the savings. Our expense reduction analystsrequire no up-front fees whatsoever: there is absolutely zero risk to you. The percentage. Procurex receives a percentage of each dollar you save for our expense reduction solutions. That percentage can be negotiated based upon the various considerations, such as the length of the term, the nature of the implementation, and the type of contract. The term. Depending on the anticipated savings, the size of your firm, or the nature of the cost centers identified. The implementation. You can choose to have Procurex implement the entire expense reduction solution for you, or you may execute some or all of the steps yourself. The contract. You can select a periodic payment plan based upon realized savings, or a monthly retainer contract based upon projected savings. The above factors ensure that you have a fee program specifically designed to best suit your company’s unique needs and goals. 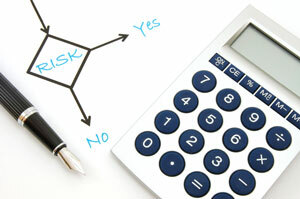 Choose risk-free expense reduction solutions. Call Procurex today at 1-800-425-0795.